You may be fooled into thinking this is just another entry-level trisuit that won't meet the demands of your competitive racing or training. Don't. 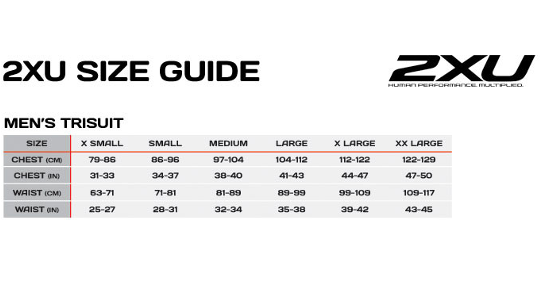 2XU manufacture only the highest quality of triathlon and sports clothing and this TriSuit features a number of world-leading technologies that are also featured in 2XU's more expensive models. Manufactured using a high filament yarn which in English means the fabric is great at wicking away moisture when you start to overheat. The suit is also designed with mesh panels at the back that ensure a great level of ventilation that does not comprise aerodynamics. 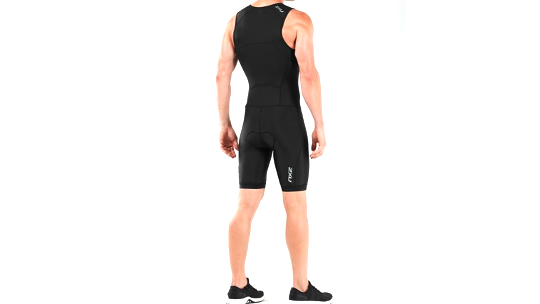 Finally, the Speedline chamois featured in this suit is as lightweight as it is comfortable and discrete. The chamois offers comfort on the bike and prevents sores from developing so that you can race worry-free. Combining low gauge 50D elastane with high filament nylon yarn, 2XU's SBR LITE is engineered for lightweight performance through high heat conditions. With outstanding moisture management and breathability, this intelligent fabric will keep the wearer's body temperature as cool as possible for maximum comfort through movement. Powerful 70D elastane for muscle support and enhanced performance. Excellent stretch and recovery memory to move with the body. HI FIL - Utilising high filament technology, 2XU has engineered a performance fabric to maximise moisture management. Cross channelled yarns wick vapour from the inner to outer layers in order to keep the wearer as dry and comfortable as possible while a mesh structure promises breathability.